When you have a child with severe behavioural problems or it thought that they may have ADHD or Attention Deficit Hyperactivity Disorder, it is not just a problem for school, teachers and your child's education. The disruption to family life is enormous. Families with an ADHD child can easily become locked in a daily battle of wills between both parent and child. Capitulation doesn't happen, as a child with ADHD does not respond to the usual incentives and disciplinary measures. This battle can last for years with the result that the entire family suffers. Any parent with an ADHD child will recognise the following pattern: a child fails to complete a chore or task that is expected of them. In response, parents set ever increasing limits on the child's behaviour; the severity of punishments and penalties for continued failures escalate, without success. In response, the child grows angry and is increasingly defiant. Parents become increasingly angry, seeing their child as one who simply has a bad attitude and needs to shape up, rather than a child with a real, neurological problem. Very rapidly, both parents and children can become locked into a negative behavioural cycle, which leaves parents, the ADHD child and any siblings unhappy and miserable. The whole way of family life is disrupted. The only way to break this cycle is for family members to work together. ADHD behaviour patterns need to be allowed, but should be positively encouraged to change. This statement is easily said, but how can it be done when so many of the ADHD behaviours are unacceptable? To enlist a families help, the first step is to educate every family member about what ADHD or ADD is, and what it means in terms of how an ADHD child behaves. This will make it easier for everyone to understand that it is necessary to negotiate solutions to problems with an ADHD child, and that everyone's expectations must be changed. Understanding how ADHD can affect a child's behaviour and their emotional understanding and perception of the world is important. As soon as a parent is aware that their child has ADHD or ADD, they need to separate the child from their medical condition. ADHD isn't anyone's fault, it just is, and must be managed. Any child who has been permanently in trouble, with many previous comments about how their behaviours have been mean, nasty or unkind is likely to have a strong dislike of themselves. For this reason it is even more important for parents to repeatedly tell their ADHD child that they love them regardless of their behaviour. Parents need to be conscientious about noticing and commenting on good behaviour, however small, every time it happens. In the heat of an argument, this first rule can easily be forgotten. The whole family has to be involved in helping to find solutions, since a child's ADHD behaviour affects everyone. If grandparents, aunts and cousins view a child as lazy, rude or badly behaved they will behave in a negative manner towards that child when they see them, which will damage parental efforts. Immediate families can meet together for group discussions about how to deal with a specific problem; only one problem should be taken on at a time. A shift in focus is needed from negativity and failure, to positivity and successes. Parents need to praise a child when it can be seen that an effort, however small, is being made to address a problem. When failures occur, comments need to always be constructive. For example, if a child has lost an especially precious toy and cannot find it, rather than tell them off for not keeping their toys tidy, it would be better to agree a good place for the toy to be put so that it can be easily found next time. In a family, a child with ADHD is likely to be the subject of the most attention. 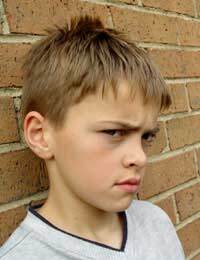 This can set up negative behaviour patterns in other children, who may deduce that only bad behaviour gets attention. It can also create feelings of jealousy and resentment. It is very important for parents to make sure that each child in their family gets the attention they deserve, and scheduling dedicated parent and individual child time on a weekly basis can pay dividends. Non ADHD children must also be allowed to voice how they feel, so that they believe that their views are important, and that they matter too. If a child is expects to succeed, they probably will. A child who is expected to fail will too.